Dawn Of Crime is another great hidden objects game made by Hidden 4 Fun! LoL Hidden Objects House Escape 2 is new html5 mobile friendly hidden objects escape game developed by Ainars and Nina for LoLEscape. Explore each room of little house, spot all objects and solve few puzzles to escape! Another new point and click room escape game from HappyDayGame.com. 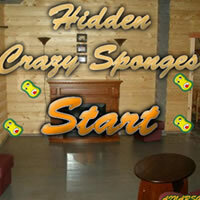 Search for hidden golden mobile phones in this game, solve puzzles to get key. Use key on door to escape. Good Luck!